One year ago, Julian Castro (former Mayor of San Antonio, TX) was sworn in as the Secretary of the Department of Housing and Urban Development. Many people (including this writer) assume that he is the most likely prospect to be Hillary Clinton's running mate in 2016. Apparently a lot of conservatives share that assumption because lately they have launched some interesting attacks on Castro. First of all, there was Samuel Rosado writing in the National Review that Julian Castro was never a "real" mayor. 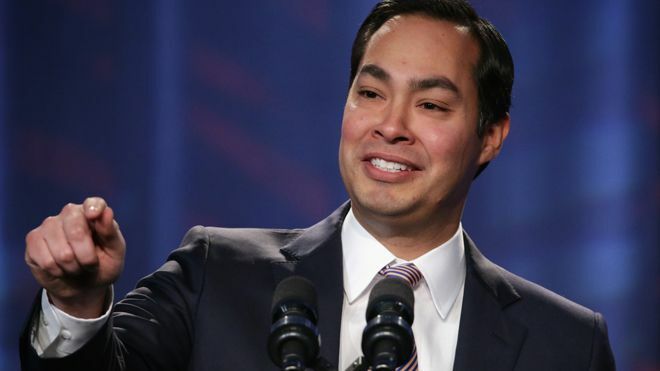 Julián Castro is often introduced as the former mayor of San Antonio, Texas. Presumably, journalists and the general public think of this as a major accomplishment and a useful dose of executive experience — it is, after all, a city of 1.4 million people. But San Antonio doesn’t work like most high-profile American cities, such as New York and Chicago, which are largely run by their mayors. It runs under the council-manager form of government, meaning the city council appoints a city manager who actually handles the day-to-day operations of government. It is true that cities around the country vary in terms of the organizational structure of their government. But working with a city manager (who usually handles administrative tasks) in no way strips a mayor of their title - much less most of the associated responsibilities. As I have often said, there are times when the only appropriate response to nonsense like that is to point and laugh. Apparently someone at Wikipedia had the same reaction. Mediaite caught the screen grab with King's name changed to Esteban Arnaldo "Steba" Rey. So far the criticism of Castro has been pretty laughable. If he gets the nod as the VP nominee, I'm sure it will only escalate. Proof that irony is Republican. Attacking Castro for not being a "real" mayor -- yet Dubya Bush ran on his record as a governor of Texas, which was only a part-time job.